Children’s House of Exton provides the framework for intellectual, emotional, social and physical growth and development. We believe our learning environment nurtures the growth of self-motivated, self-disciplined and independent learners. We believe the purpose of early childhood education is to cultivate a child’s natural curiosity and desire to learn at an early age, when they are eagerly and spontaneously absorbing everything in their environment. A Montessori classroom is a “hands-on” environment which is prepared, orderly and interesting. It allows the child to develop at his own pace. The learning materials are carefully introduced. They are sequential and self-correcting, ensuring your child will experience success. This success encourages your child to try new things and builds self-confidence. Your child is motivated from within to perform work and persist at the activity they have selected. Your child develops an “inner-discipline” or control over their own behavior. Concentration is essential for learning to occur. The Montessori classroom encourages your child to concentrate by focusing his attention on the “work” he has chosen. Each child has a need for purposeful work. Your child works not for the completion of an activity but for the sake of the activity itself. 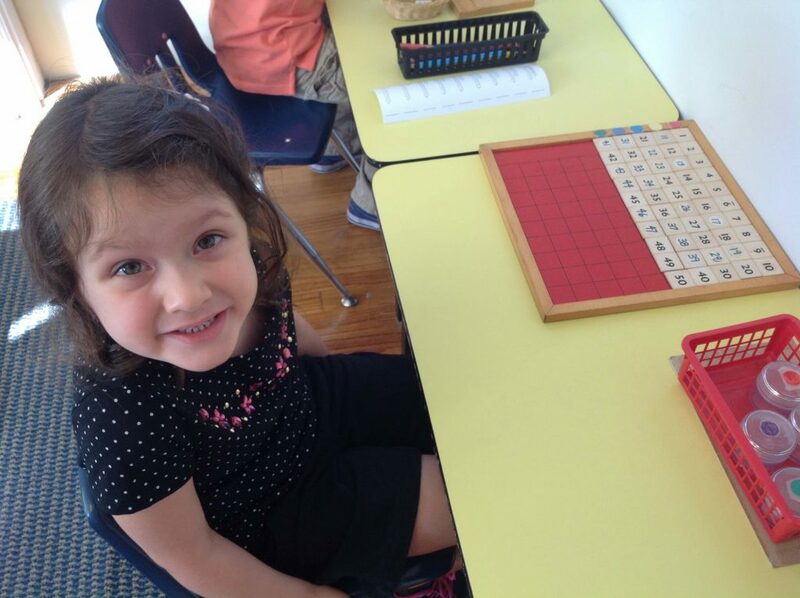 Montessori emphasizes learning through all five senses. Children in Montessori classes learn at their own, individual pace and according to their own choice of activities from hundreds of possibilities. Learning is an exciting process of discovery, leading to concentration, motivation, self-discipline, and a love of learning. Montessori classes place children in multi-age groups, forming localized communities in which the older children spontaneously share their knowledge with the younger ones. Montessori represents an entirely different approach to education in that individuality and creativity are encouraged while maintaining a structured environment. The Montessori teacher facilitates the classroom activity. She or He carefully prepares the environment based on the interests of the children. She observes the children and plans lessons accordingly. She records children’s choices and allows them the pleasure of self-discovery.